Department and home store retailer Vergo Retail has gone into administration, placing a question mark over the future of the 19-store business – including the iconic Robbs department store in Hexham and Joplings in Sunderland. Sarah Bell and Steven Muncaster, partners at MCR, have been appointed joint administrators, with the stores set to trade as normal while the company’s position is reviewed and a buyer sought. However, the middle of a recession is barely the best time to be selling an ailing retailer, as MCR’s recent experiences with Ethel Austin and the kidswear retailer Adams demonstrate. While Ethel Austin limps on as a rump of 90 stores, Adams has vanished from the high street completely (though is reportedly due to return in the autumn). For the sake of Vergo Retail’s 900+ employees, a happier outcome must be hoped for this time; sadly, however, the chances of any purchaser snapping up the entire loss-making Vergo chain is surely slim. It’s all a far cry from the hope and expectation that has accompanied the recent growth of the Vergo Retail business. As regular readers of Soult’s Retail View will know, Vergo Retail had an acquisitive 2009, snapping up a succession of closure threatened Co-op department and home stores. These were added to the portfolio of three large department stores – Robbs, Joplings and Lewis’s – that it rescued from the brink of closure following the administration of Owen Owen in 2007. Back then, it was difficult trading at Lewis’s that brought the whole Owen Owen business tumbling down, despite Robbs and Joplings both reportedly being profitable. This essence of a decent business provided some logic to the scenario of David Thompson – who had taken Owen Owen into administration in the first place – buying the business back under the new Vergo Retail banner. From a North East perspective – and that of an occasional shopper in both Robbs and Joplings – Vergo’s collapse is a cruel blow to the dedicated, friendly and hardworking staff in those stores who have worked so hard to bring them back to life over the last three years. 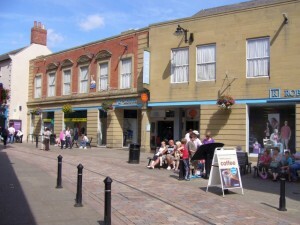 Equally, as the Hexham Courant reported on Friday, it’s devastating and unacceptable to those concession holders who look set to lose out on getting what they are owed – in a repeat, for many, of what happened when Owen Owen went into administration – due to all payments passing through Vergo’s own tills. Even if Robbs is saved, those concession holders who are reportedly owed thousands of pounds can be forgiven if they think twice about staying put – assuming, of course, that their small businesses even survive the hit. The variety of concessions, including many independents, is a core part of Robbs’ appeal, and any new owner will need to work hard to win them over. For now, however, we must just watch, wait, and – if we wish them to survive – do our best to support the threatened stores at this most difficult and uncertain of times. UPDATE – 11 May 2010: The administrators have announced today that nine of Vergo Retail’s loss-making stores – including Robbs and Joplings – will close within four weeks. 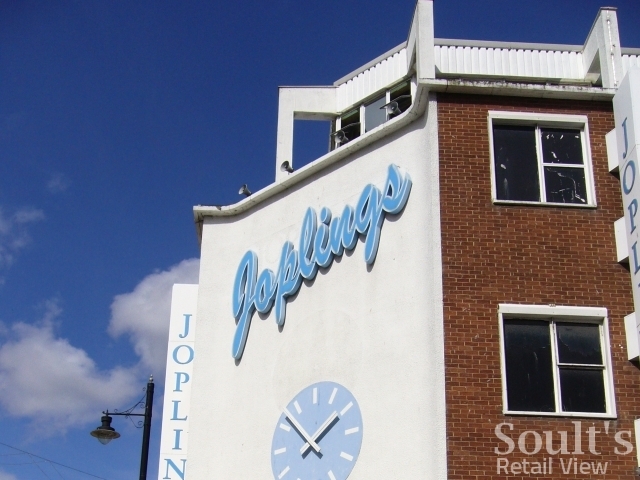 Joplings was established in 1804; Robbs in 1819 – events over the next four weeks will determine whether or not 2010 sees the sad end of both these iconic department stores. * UPDATE – 21 May 2010: Financial information released by MCR[broken link removed] shows that, for the year ended 26 January 2008, Vergo Retail made a total loss of £2.416m from a turnover of £15.824m. This, of course, was based on only the three stores that were in the Vergo portfolio at the time – Robbs, Joplings and Lewis’s. Next story Could Beales – or someone else – yet save Robbs? I appreciate its been much time since this happened but I note that Lewis’s, Joplings and Robbs previously had collective turnover of around £50m in 2005, however within five years this had collapsed to £15m – I worked, as a college student, on a Sunday and did print off reports at the time which showed the decline, However £50m to £15m is much more than I expected. From what Ive heard I get the impression that Joplings, as well as Lewis’s was not profitable in the past few years. Lewis’s was hit by a shift in Liverpool’s retail Centre and was profitable before L1 opened, as has Derrys in Plymouth. Joplings got hit badly by the recession and as with Lewis’s hasnt been profitable in the past 2 years. Thats my guess anyway. I think Robbs lack of profitablity this year is a blip and has been profitable most of the time in the past 3 years. Was the whole Vergo empire built on sand? It was stated that Mr Thompson bought Robbs and Joplings (together with Lewis’s) back from the receivers of the failed Owen Owen because the first two were profitable. These latest figures suggest the much larger Lewis’s losses must have dragged down any profits from the other two. Could Vergo ever have worked in these circumstances? As for buying more loss making stores from the Co-op…turnover is vanity. Lets hope Beales do buy Robbs and provide some much needed stability for this iconic store, its staff and concession holders and suppliers. My company also has been affected by Vergo going into administration. Just days before the announcement was made, a cheque owed to us from them bounced from their concession trust account. No one is being clear as to our position or what happens next! I don’t understand how people are still trading within their stores! Soult's Retail View» Blog Archive » Could Beales – or someone else – yet save Robbs? Soult's Retail View» Blog Archive » Robbs is saved – so what happens now?